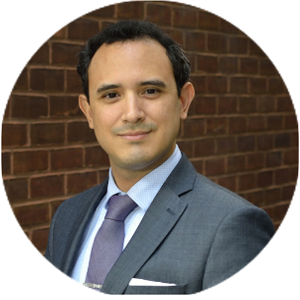 Michael Rodriguez, AICP, is visiting Director of Research for Smart Growth America. Michael conducts and oversees quantitative and qualitative research through SGA’s many research initiatives. His expertise is in fiscal and economic impacts of transportation and infrastructure projects, especially with regard to smart growth and walkability. Michael’s is co-author of “Foot Traffic Ahead 2016,” a statistical survey of walkable urbanism in the U.S.; econometric research on the economic and fiscal impacts of catalytic development in Downtown Detroit; and “WalkUP, Wake-Up: NY Metro,” a study of walkability in metropolitan New York and part of the Fourth Regional Plan. Prior to joining Smart Growth America, Michael had extensive private sector experience in transportation and economics consulting with various nationally leading firms, having written reports on major projects such as California High Speed Rail, pedestrian station access impacts for WMATA, and several successful TIGER grants. He also was key in developing industry-leading software tools for transportation economic analysis. Michael is also presently Leader for Market Research and Insights for the Washington-Baltimore region at CBRE. As such he brings expertise in commercial real estate to SGA’s initiatives. As a resident of Tysons Corner, Virginia, Michael promotes smart growth in one of the fastest growing regions in the country, and serves on the Citizen’s Advisory Committee of the Metropolitan Washington Transportation Planning Board. He holds a Master of Public Affairs and a master’s degree in Urban and Regional Planning from the University of Wisconsin – Madison, and is pursuing a PhD in Public Policy at George Washington University.